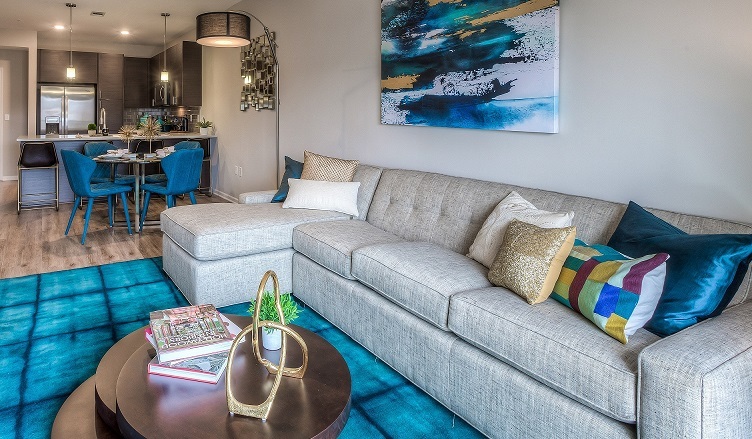 With an unbelievable selection of eighteen unique floor plans, the apartment homes at The Royale at CityPlace were designed to delight our residents. Ranging from 482 to 2017 square feet, we are confident that you will find the ideal apartment suited for your every need. Each home includes a living and dining area, a kitchen, a utility closet, and the corresponding number of bathrooms and bedrooms. A wealth of amenities will become yours with our high-end stainless steel kitchen appliances and islands, deep soaking tubs, and large, covered balconies. Our community serves as an extended living space where you can indulge in our resort-style saltwater, heated swimming pool, state-of-the-art fitness center, and private media and theater room. At The Royale at CityPlace, impeccable design and amazing amenities combine to create your dream apartment home.